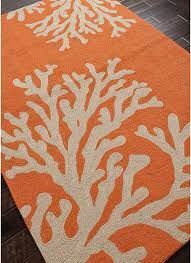 Boldly scaled designs and a sun drenched color palette punctuate this rug. Boldly scaled designs and a sun drenched color palette punctuate this rug. This pattern brings a sense of fun and intrigue to any living space. Crafted in durable hand-hooked polypropylene.